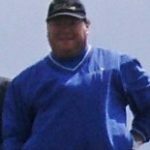 Bio Matt has been an instructor for over a decade, teaching a wide caliber of player, ranging from the first time beginner, to the seasoned Tour Professional. He looks forward to continuing his promotion of helping every player achieve their ultimate potential, regardless of limitation. Philosophy The “perfect” golf swing is not perfect for everyone. Size, shape, and physical limitations all contribute to a player’s ability to perform optimally. My philosophy is not “One Size Fits All”, but rather a program that will fit the individual I’m instructing. Combining my approach with a renewed attention to course management, tempo, and playing within oneself, you’ll begin enjoying the game you love even more!